Offering a bespoke recruitment service to suit individual client needs. We specialise in supplying recruitment solutions across the Surveying, Architecture, Building Services, Facilities Management, Engineering and Project Management disciplines. We work with a variety of clients across the construction and property sector including large international blue chips and newly established SMEs. We offer clients all available forms of recruitment including executive search and selection, professional networking, head hunting, database, press and online advertising. We work with the market leaders within the Built Environment industry, ranging from multi nationals working on prestigious projects through to the key players who are moving the sector forward through innovative design and best practice. Please submit your details and one of our consultants will be in touch. We’re good at what we do and we take pride in operating to the highest standards. When we ask new customers how they heard of us, the most frequent response, by far, is recommendation. We are determined to maintain this reputation for quality and will continue to strive to deliver above and beyond our clients expectations. Brierley J recruit Project Managers across all aspects of the Built Environment, including Consultancies, Contractors and Clients. Brierley J look at all Project Management backgrounds and are skilled in finding that cultural fit been Employer and Employee. We recruit Building Surveyors, Quantity Surveyors and General Practice Surveyors for SME’s through to multinational organisations. We have solid working relationships with Consultancies, Contractors, Local Government, Social Housing, the NHS and the Third Sector. This means we can offer exclusive access to some of the latest surveying roles in the North East. We work with all the key Architectural practices across the North East. The design companies who are pushing the sector forward onto new levels through innovation and are building a better North East. We are constantly recruiting for original and creative design candidates so please get in touch to see the opportunities we could have available for you. Brierley J work across the Civil and Structural Engineering sector as well as the Mechanical and Electrical Building Services. We supply Consultancies and Contractors with Designers, Engineers and Technicians from a graduate level through to senior management. As one of the fastest growing professions Brierley J recognise the importance of keeping their finger on the pulse in a sector where no two days are the same. Brierley J support a range of organisations who require hard and soft facilities management skills to manage their buildings and services. Brierley J has extensive experience placing the right people in the right roles from a junior to senior level. Brierley J have built a reputation in the Built Environment industry for providing professional and quality staffing solutions for junior to senior CDMC and Health and Safety roles across the North East. We work with Consultancies and Contractors supplying these crucial skill sets. Head of Engineering & Construction - Northumberland County Council. Brierley J works with a variety of clients across the Construction and Property sector including large international blue chips and newly established SMEs. We offer clients all available mediums of recruitment including Executive search and Selection, professional networking, Head hunting, database, press and online advertising. We maintain a keen interest in developments within the Built Environment and relish the opportunity to discuss emerging trends with key decision makers. As a result we are not only well informed but also possess a wide and powerful network. We listen carefully so we can tailor our solution to your resource needs, ensuring you get excellent customer service and value for money. We don’t just rely on our database to find our candidates but also use a multifaceted approach to ensure you have greatest coverage, sourcing the best in the market for your business. Brierley J are accessible and approachable and communicate honestly and openly with clients, with the intention of building a long-term partnership that delivers time and time again. We support our candidates in their journey, helping them navigate their way through the challenges faced when leaving one business and joining another. This hands on approach ensures that our candidates are more likely to accept an offer and are more likely to add value over the long term. We understand that you may be considering your next career move in advance of starting an active search. We are more than happy to discuss current and upcoming opportunities with you on a confidential basis, whether you are actively looking or are merely seeking to benchmark yourself against the market. Brierley J work with the market leaders within the Built Environment industry, ranging from multi nationals working on prestigious multimillion pound projects through to the key players who are moving the sector forward through innovative design and best practice. As a candidate of Brierley J you can be sure of our discretion and that we will treat your application or interest in a role with complete confidentiality. Throughout the stages of the recruitment process we will keep you informed of your progress and the developments of the role. You will be given interview preparation before meeting with any of our clients. To enable you to get the most from the process we will ensure the client gives you constructive feedback, whether you are successful or not. Our experienced consultants can start helping you today. You will be given a full brief of the role, background information on the company and your fit from a cultural viewpoint, giving you a full understanding of the position you’re interviewing for. We appreciate the time and effort it takes to apply for a new position so with this in mind if you are unsuccessful you will be informed verbally and given a comprehensive explanation to help you with further applications. We manage the communication and correspondence with employers on your behalf and negotiate to ensure that an agreement is reached that benefits and interests both parties. We pride ourselves on being able to manage this sensitive situation professionally whilst remaining unbiased. Brierley J provide a referencing service for all our clients, whether the role is temporary or permanent. This strengthens your application, along with your CV and our interview notes, reinforcing your suitability for the role. We manage the referencing personally ensuring that all information is kept confidential and is only shared with a client at the latter stages of the process and with your cooperation. Once you’ve accepted the role, we will keep in touch and offer our support to ensure you settle in smoothly. We organise a post-placement review to discover how you are getting on and evaluate with you the process you have been through. Your feedback is invaluable to Brierley J as it helps improve our service and create a better experience with each appointment. We look forward to supporting you secure your next career move. We endeavour to make your experience with Brierley J as enjoyable, straight forward and successful as possible. Brierley J have unparalled recruiting expertise and an in-depth knowledge of the North East Construction and Property job market. Brierley J take an innovative and entrepreneurial approach to solving talent requirements. We thrive in the highly competitive recruitment market and adopt a creative spirit and resolute dedication to delivering excellent service, securing the best outcomes for our clients and candidates. The Brierley J service combines deep sector expertise with a commitment to developing close relationships with our clients across the Built Environment. 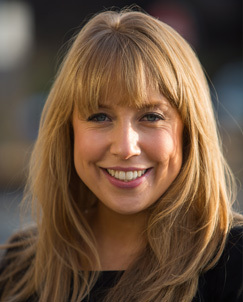 Leading the company is Beth Brierley-Jones who has over eight years previous experience establishing and managing construction and property businesses within the North East for blue chip and SME companies. She has recruited for temporary and permanent roles, junior to executive appointments across the Built Environment. Please complete the form below and one of the team will be in touch to assist you.